Our Sustainable Agriculture Framework (SAF) summarizes SAN’s technical and scientific approach on sustainable agriculture in farms and production systems, taking into account sustainability as an integral element of agricultural management, but also allows for meeting the needs of each crop in its context. This innovative and customizable management tool facilitates a combination of elements of verification and support. It is a modular and outcome-based approach that offers multiple advantages for the sustainable management of productive systems, as it is designed to easily assess progress towards impacts goals. The SAF allows achieving, measuring and demonstrating specific sustainability results, taking into account the needs of agricultural and livestock producers, and the expectations of the increasingly demanding global markets. The SAF can be used as a manual of good practices, as a tool to assess the performance of operations on the ground, design support interventions and measure and verify progress; to map risks in the field, and as a roadmap to achieve sustainability goals. The SAF is a comprehensive framework, but at the same time, its flexible and modular design allows ‘outcomes’ to be selected and prioritized based on the challenges specific to each local context (pest management, biodiversity conservation, water and soil management, adaptation to climate change, workers' rights, etc.) enabling the development of a customized package of measures towards delivering these specific outcomes. The tool covers the 10 areas of impact in which SAN works. 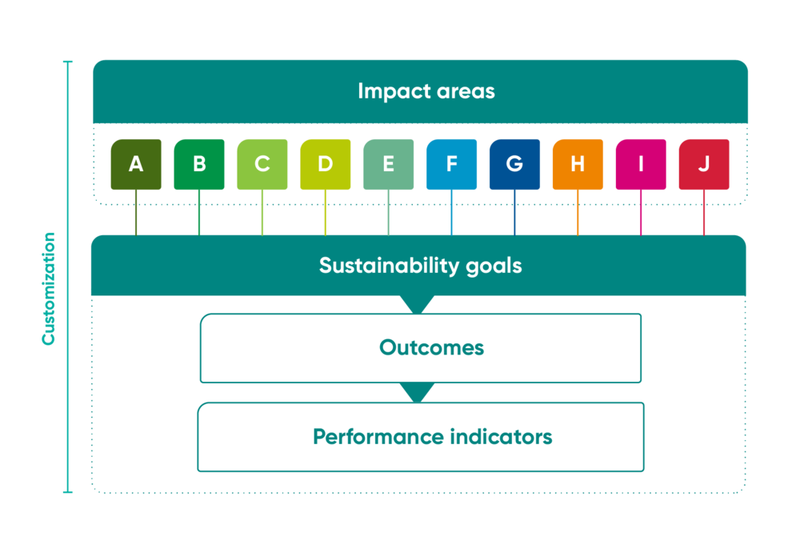 Each area includes various sustainability goals, which are composed of expected outcomes and performance indicators, to demonstrate achievement. However, each organization or supply chain can choose the set of topics or indicators to work. The customized implementation of SAF indicators through SAN’s Solutions allows it to be complementary with other existing sustainability programs, and even incorporating specific topics and indicators that are of particular interest to a buyer.